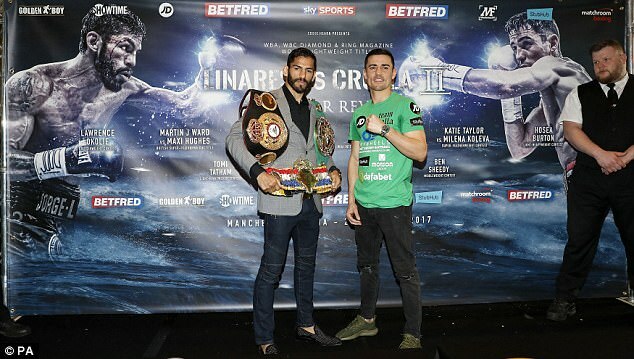 Anthony Crolla believes he is set to ‘prove an awful lot of people wrong’ as he looks to avenge last year’s defeat by Jorge Linares in their world title contest this weekend. 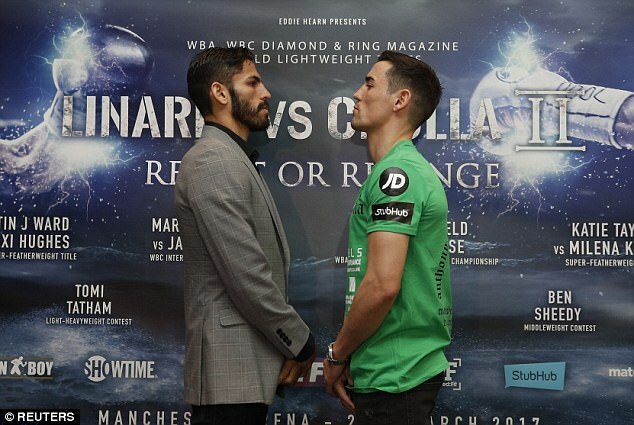 Crolla put in a valiant display last September only to come up short against his Venezuelan foe, who wrested the WBA lightweight title from the Mancunian after earning a unanimous decision victory. 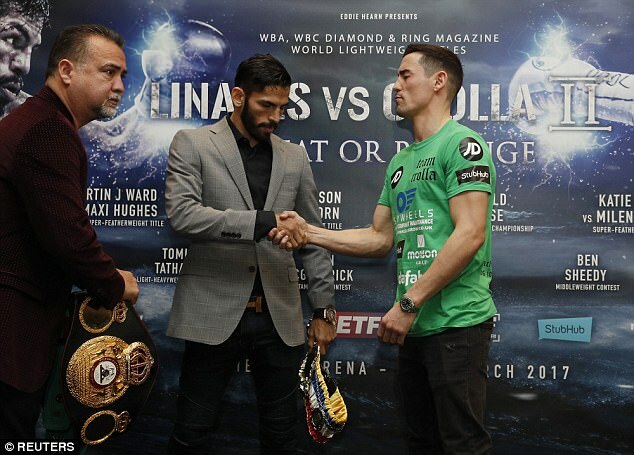 Despite no controversy over the result, the pair agreed to do battle once again at the Manchester Arena on Saturday, with Crolla aiming to become a two-time world champion. And the thought of being a big underdog is proving a major motivating factor for the 30-year-old, who told Sky Sports News HQ: ‘I believe last time I lost the fight and the right man won. ‘I knew what a great fighter he was but there’s not the surprise element to it and I’m prepared better this time. 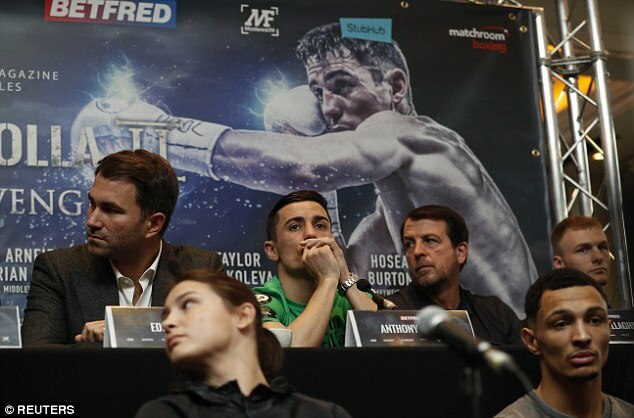 ‘It might go early, it might go inside the distance but I’m prepared for 12 very hard rounds. There’re going to be times in the fight where I might have to weather a storm and I’ve got to bite down on that gumshield but that’s something I’m willing to do, I’m willing to dig deeper than ever before. 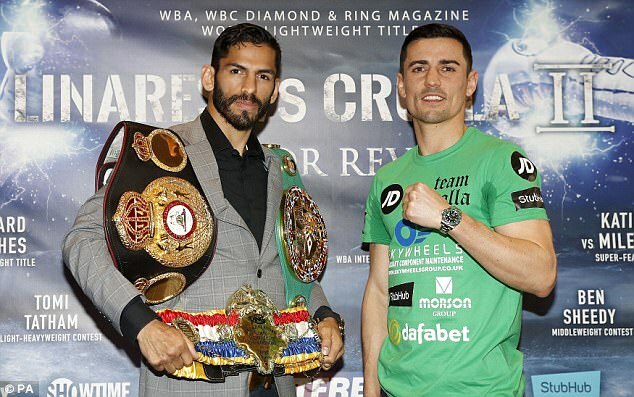 Crolla (31-5-3, 13KOs) knows there are some areas where he cannot compete with the faster Linares – a three-weight world champion who has won 41 of his 44 professional contests – but he does not believe he should be written off because of that. 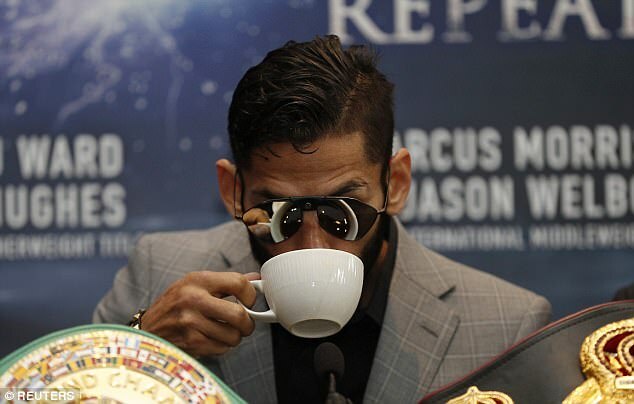 He added: ‘Jorge Linares is very, very good on the eye. You see training sessions and clips on social media, I can’t compete with flashy padwork like that, I can’t do that. But there’s other things to my game that I feel will go well against that. ‘I believe if Jorge comes in looking for the knock-out he comes away from what he’s best at, and if he does so I feel it falls right into my hands. If it has to get into a dogfight then I don’t mind. ‘I think there’s going to be a bit of everything in this fight, a bit of boxing, a bit of a chess match, but I definitely see a good fight again.